King Arthur Flour declared this Whole-Grain Banana Bread their 2018 Recipe of the Year and for very good reason. So flavorful, moist and holy moly, so good! 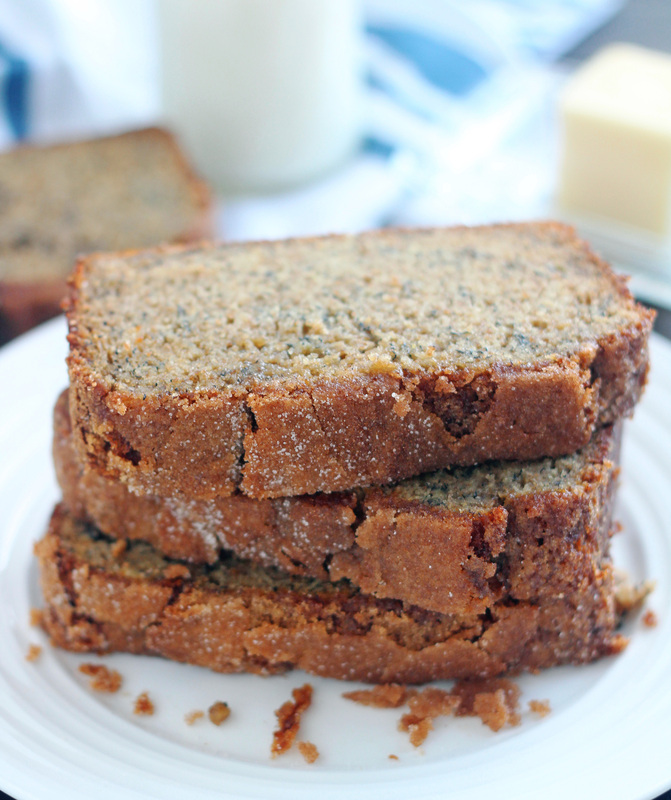 This banana bread has completely won us over. Whenever I see a recipe with phrases attached to it like world’s best, recipe of the year, best ever, etc., you’d better believe I’ll be trying it. Those words always intrigue me and I have to find out for myself if it really is the best chocolate chip cookie, or cinnamon roll, or banana bread, or whatever else it might be. Now before you start thinking that the last thing you need is another banana bread recipe, please just hear me out. I completely get it. I thought that same thing because my heart belongs to my grandma’s banana bread recipe. 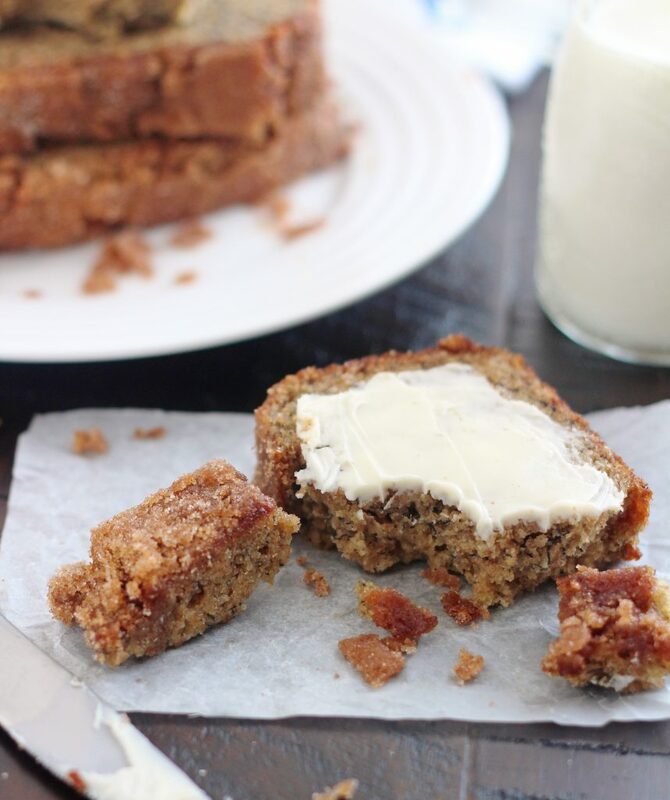 But this recipe I’m sharing today has definitely found a place in my heart and might actually be the best banana bread I’ve ever had. I absolutely see why King Arthur Flour declared it their recipe of the year for 2018. The ingredients are plain and simple. Nothing out of the ordinary. Maybe the whole wheat flour and brown sugar do something magical to this bread. I don’t know! I do know that I’ve fallen in love with this bread and my husband and boys would whole heartedly agree that it is phenomenal! The cinnamony-sugary topping is so good and then smearing softened butter on a slice, well it’s just heaven. Make sure you don’t pack the flour in the measuring cup. I very rarely spoon and level off flour when I’m baking, but for this recipe it does make a difference. So gently spoon the flour into your measuring cup and level off with a knife. You can leave the nuts out completely in the recipe (I did), or you can substitute up to 1 cup chocolate chips, dried fruit, pumpkin seeds, or any other mix-ins of your choice. You can substitute white sugar if you don’t have any brown, but I highly suggest you use the brown sugar. 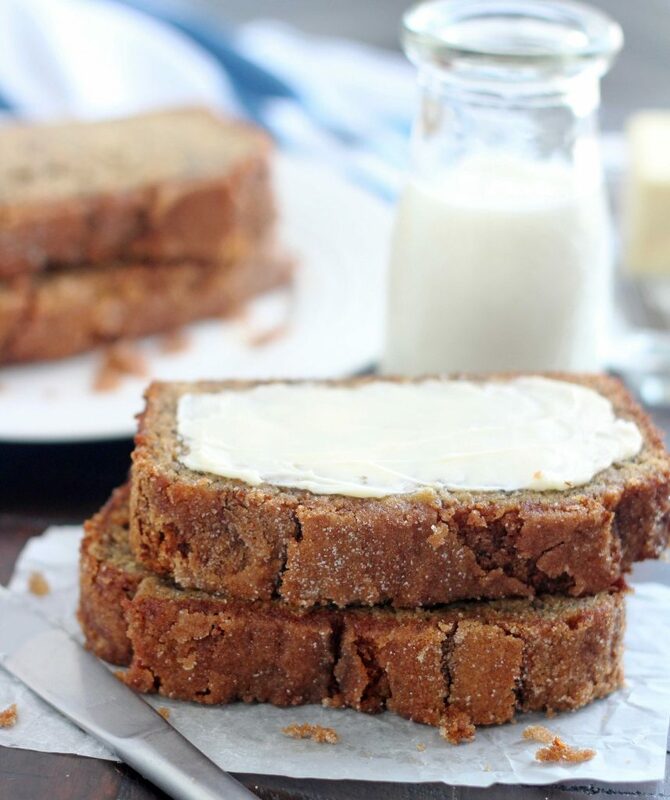 It gives this bread a slightly caramelized flavor and makes it so moist. Tried this today Jodi, and we all loved it!! I’m not even a huge banana bread fan and I thought it was delicious. Definitely a keeper. Thanks! Hi Tiff! I’m so happy you made this and loved it. Thanks for letting me know!